John Hancock will now sell only "interactive" policies that collect health data through wearable devices such as a smartwatch. But critics said the announcement was "creepy" and "dystopian". 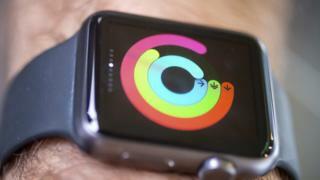 Insurance brand Vitality - an international partner of John Hancock - has popularised the idea of "interactive" health and life insurance by offering discounted devices such as the Apple Watch in connection with its policies. "Naturally the American dystopian surveillance state will combine insurance with fat-shaming. Welcome to hell," said Matt Stoller, a fellow at the Open Markets Institute. John Hancock said customers would not have to log their activities to qualify for coverage - but they would not benefit from the discounts if they chose not to.